2017 has admittedly been a somewhat slow year for us. With lots going on in our personal lives, it's been hard to post regularly. Still, 2017 was still an eventful year for us in automotive terms. As East Brother is currently on vacation, I will share some of my favorite automotive moments from 2017. Earlier this year, East Brother and I attended an event put on by Cadillac called the "Truth + Dare" driving event. It was an event put on to highlight some of the technological and performance aspects of Cadillac's newest crop of vehicles. This wasn't something we covered here on the blog, but ended up on our own personal Instagram accounts instead. Still, despite the coverage, we had a blast at the event. The highlights being getting to floor both an ATS-V and CTS-V down a 1/8 mile course, and getting to flog some cars through a small autocross course. Speaking of Instagram, we finally have an Instagram account! I know, it only took us a few years to hop on the bandwagon. You can find us @eastwestbrothers. 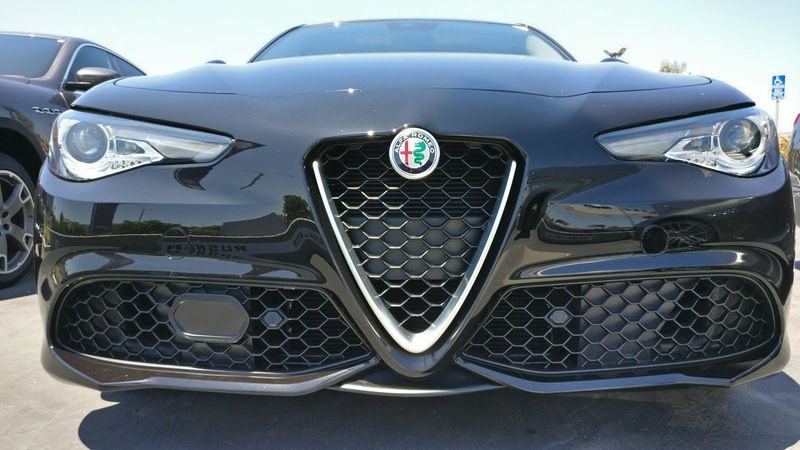 2017 marked the year Alfa Romeo was serious about returning to the mainstream American auto market with the Giulia mid-size luxury/sport sedan. East Brother and I managed to snag a test drive a few months after it hit the market at our local Rusnak Fiat/Maserati/Alfa Romeo dealership. While we both walked away impressed with how the car drove and looked, the interior was well below our expectations of a car costing north of $50k (as equipped). Of course, there was also Alfa's "legendary" reliability issues constantly nagging us in the back of our minds. A few months ago though, I had noticed that the dealer had vanished. 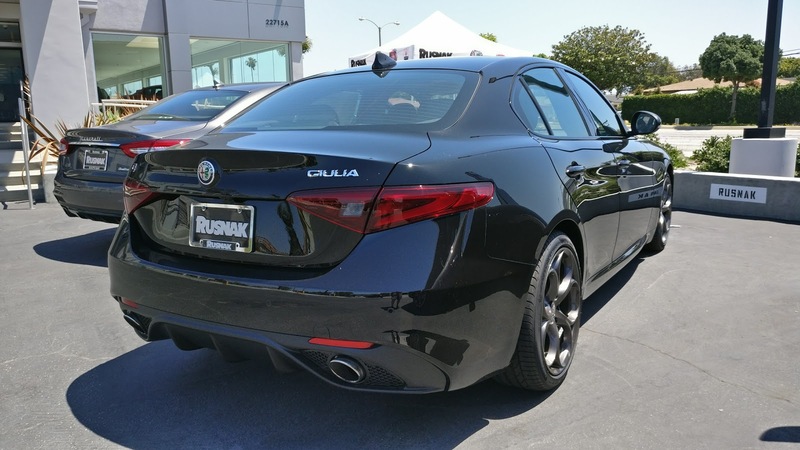 Considering that at the time of testing, the Giulia was probably only doing about 2,000 units per month, it was really no surprise that Rusnak decided to abandon ship. It's a fantastic car, and I really want to like it and recommend it to people, but the reliability issue and company longevity issue really makes it hard to like and recommend. Damn shame too because it's such a fantastic driving and gorgeous looking car. 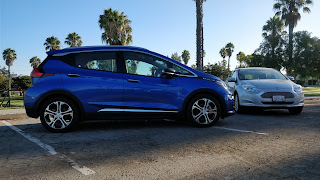 East Brother acquired a new vehicle this year with a new Chevy Bolt EV. I was never a huge fan of his Ford Focus EV, but the Bolt, despite looking funny, impressed me with its performance and level of technology. Funny how we now have two cars in our fleet in a shade of "pull me over" blue. I think we've agreed to stick with the theme and possibly get our next car in a similar shade of blue. 2017 also marks the year we sent two of our long term cars back to their respective manufacturers: our 2014 Acura RLX and 2014 Ford Focus EV. You can read about our respective final thoughts on both of these vehicles here and here. I hope that 2018 proves to be an even more exciting year for us. Stay safe everyone, and Happy New Year! A few months ago, I wrote about how crowded the mid-size luxury sedan class was when I reviewed the Alfa Romeo Giulia. If you really want to talk about "overcrowded," take a look at the compact sedan class. Every single large volume manufacturer has a competing vehicle in this class (except for Chrysler, who abandoned that market - Ed. ), so the number of choices can be...overwhelming, to say the least. There are a few standouts in this class though: the VW Golf, the Honda Civic, the Mazda 3, and the Ford Focus, to name a few. 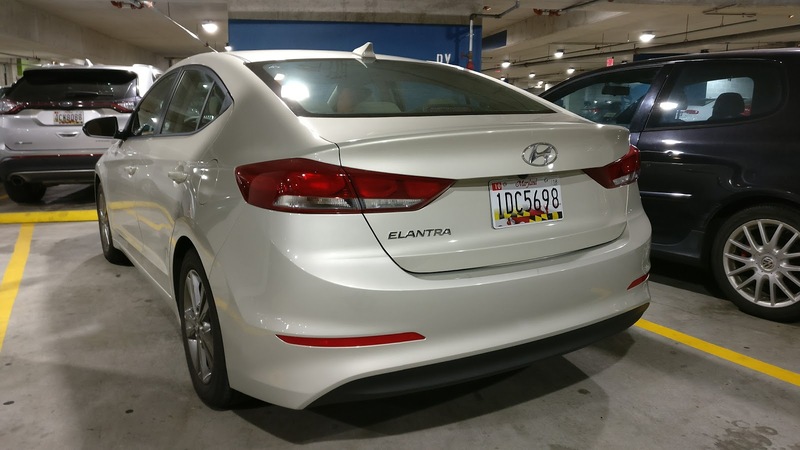 Hyundai's Elantra usually ranks relatively well when compared to other compact sedans, but just doesn't seem to sell quite as well. 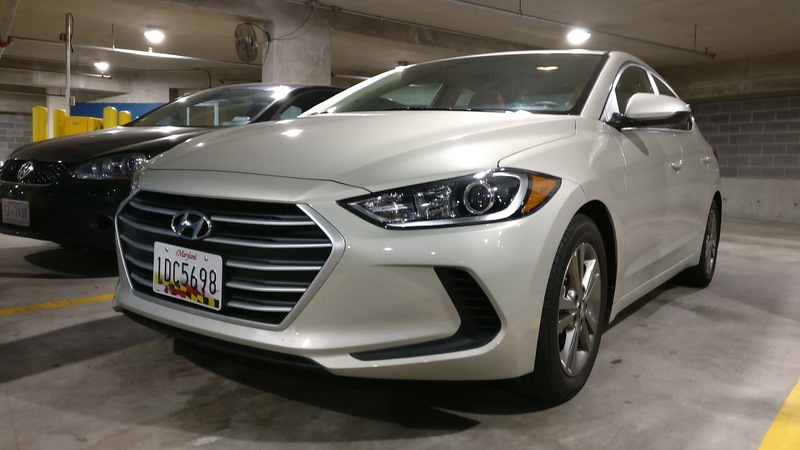 Heading out to Baltimore during Veteran's day weekend, I needed a rental car, and decided on an Elantra, as it was the most appealing vehicle available at National's "Emerald Aisle" lot at Baltimore/Washington International. 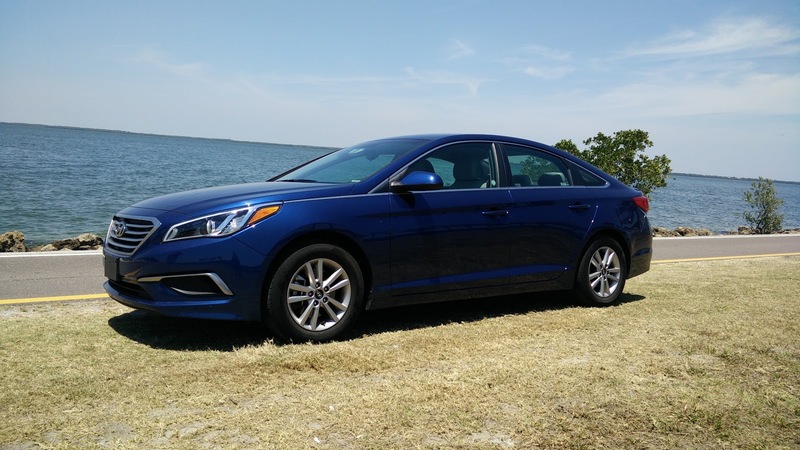 Let's see if I can figure out why the Elantra ranks well in reviews, but lags its competition in sales. After three years and over 24k miles of service, it is finally time to bid farewell to our daily driven Ford Focus Electric. This was the first electric car that my wife and I have owned and was the start of what will likely be a legacy of electric car ownership going forward. While it was not a perfect car, the Focus Electric has quite a few charming characteristics that made it a fantastic daily driver and with a little bit of forethought, it became a perfect vehicle for how we live our lives. The ownership experience was largely a positive one, but also not without a few flaws. However, for a first generation electric vehicle, it served us well during its three years in our garage. 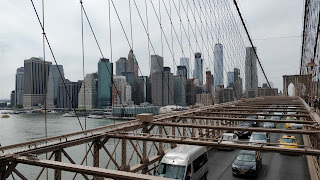 Brooklyn is a part of New York City that, for no particular reason, I have completely managed to ignore for pretty much the entirety of my adult life. No matter how many times I have been to NYC since becoming an adult, my trips have always kept me within Manhattan or, at furthest, Queens. It really wasn't so much of a conscious effort to avoid Brooklyn, but rather the simple reality that I never had a reason to go there. 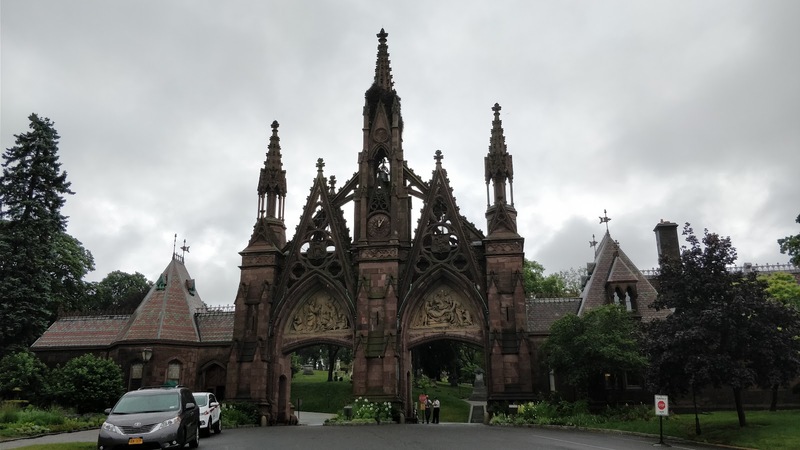 And there is simply so much to do in NYC that unless you are staying for a good stretch of time, it is really easy to not even think about traveling to the other boroughs. 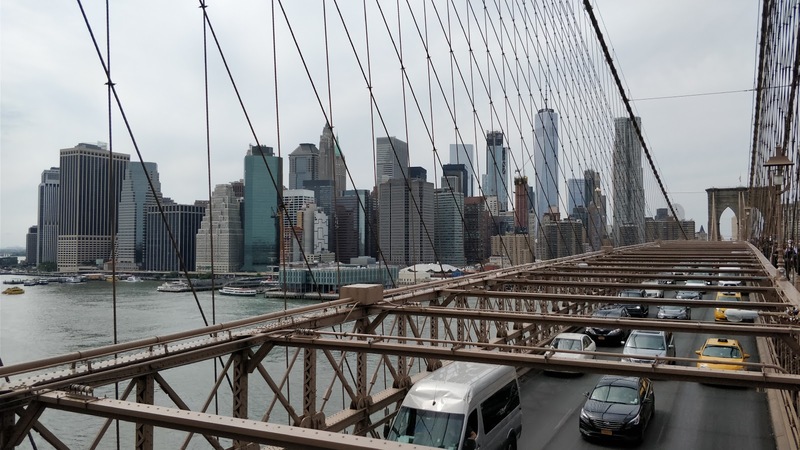 But our recent trip to New York this summer gave us our first ever reason to visit Brooklyn and I realized that by having kept to Manhattan, I had missed out on what is a truly thriving and vibrant part of New York City. Seven. 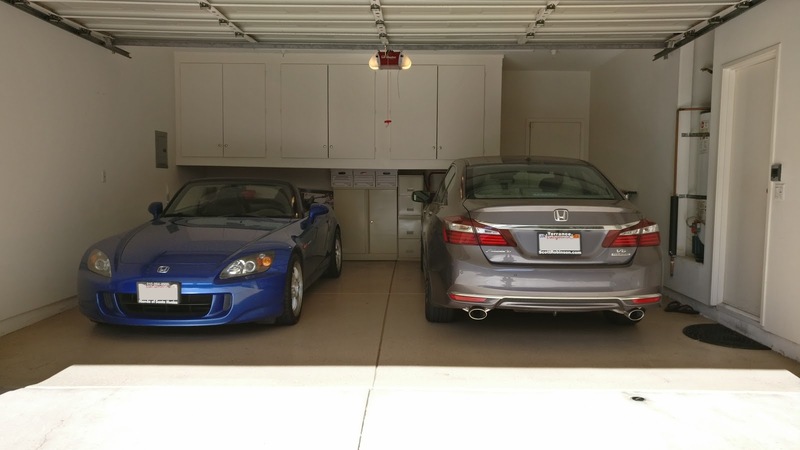 Seven is the number of years that I have owned my S2000. I have never owned a car longer than I have had my S2000, and I see myself owning it for many more years to come. But in the meantime, has anything new happened with my S2000? Nothing major. With Android Auto now available to use directly through your phone, I have been looking for a proper mount for my phone to use in the car. Before we had to return the Focus, it seemed prudent to take a moment to see just how much electric vehicles have progressed in the last three years. When we first acquired the Focus in 2014, it was a competitive, albeit with a few shortcomings, vehicle among the rather small class of available EVs. During that time, we have gotten to see the EV landscape evolve significantly as the cars have gotten a lot more capable and the availability of charging infrastructure has improved dramatically, both in terms of more available Level 2 and both the speed and availability of Level 3 DC fast charging. 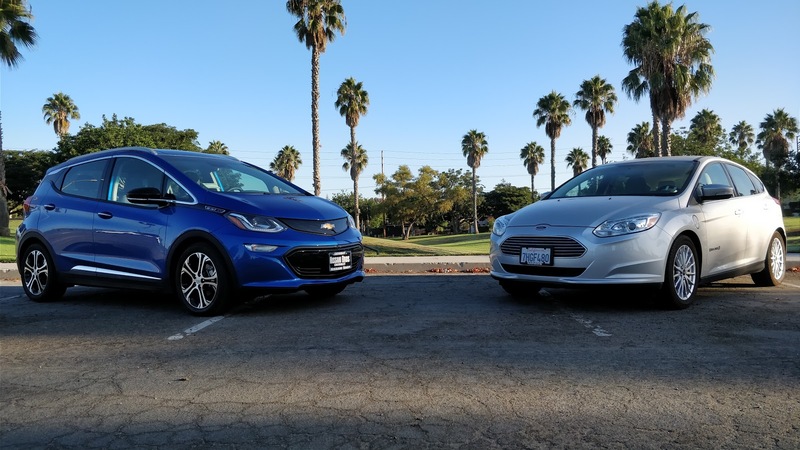 Comparing our outgoing Focus Electric with our newly acquired Bolt EV allows us the opportunity to really examine just how significant those changes are and what that means for the future of EVs as we see more manufacturers make commitments to joining the EV marketplace. So last week, we hinted that big news was in store regarding the Chevy Bolt EV we tested. 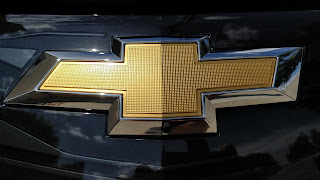 Despite my many reservations, I decided to attempt a little experiment and set aside my subjective criteria and focus on just the objective criteria in what we needed for a new car. That meant considering the range, the interior space, the performance, the technology, and, most importantly, the price. Given that I still have a deposit on a Model 3 and we are only looking at electric cars, the realistic options narrowed themselves down pretty quickly. Aside from the Model 3 and the Bolt EV, we considered the 2017 Ford Focus Electric, the 2017 VW e-Golf, the Hyundai Ioniq Electric, and the 2018 Nissan Leaf 2.0. Each of these had to meet the minimum criteria of being all-electric battery EVs with at least 100 miles of real world range. From there, it became a matter of determining how to weigh the other criteria to come to a decision. Walking into this test drive, I really wanted to dislike this car. Having seen the Bolt a few times on the streets, it just never quite looked right to me with the stubby nose and tall hatchback proportions. As a day-one reservation holder of the Tesla Model 3, I did not expect the Bolt to change my mind based on its looks, but as the only other 200+ mile range EV on the market, I thought I owed it to myself to give the competition a go before plunking down any serious money on a car I have not even seen in person. Considering that Hyundai's roll-out of the Ioniq has been a disaster, the VW e-Golf was a no-show despite being announced nearly a year ago, and the Nissan Leaf 2.0 was not likely to make it to market in time for the end of our lease of the Focus Electric, it seemed only logical to take the Bolt for a spin. 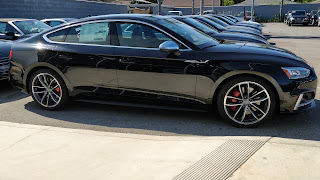 I have a real soft spot for Audi's performance sedans, especially the, S4/RS4 and S7/RS7 so imagine my joy when I found out that Audi is bringing the A5 and S5 Sportback, essentially an 80% sized version of the S7, to the US market. 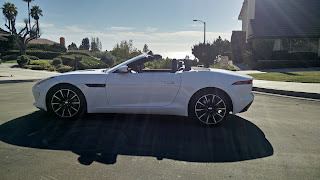 Originally slated to be displayed at last year's LA Auto Show, I was disappointed when it was a no show, but as soon as they started to hit the dealer lots, I took the opportunity to go and check one out, especially as we are looking for a suitable 4-door, 5-seat replacement to our long-term Jaguar F-Type. E-bikes were something I had been relatively skeptical of since I first saw a clunky example while visiting China many years ago. As a road cyclist, the idea of using electrical power to supplement the power put through the pedals seemed like cheating, especially for those long weekend rides. 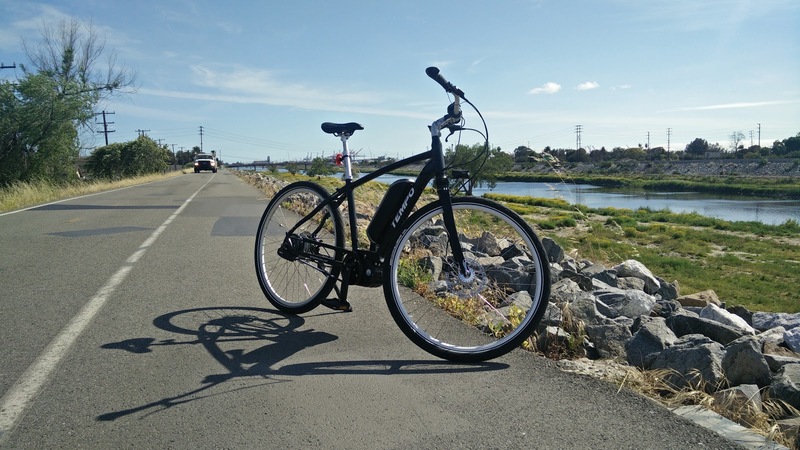 But in recent years, as the technology improved and the the designs became less cumbersome and more sleek, I started to wonder if I was perhaps being a little too narrow-minded in my assessment of e-bikes. After all, not everyone is as fortunate as me to live in a relatively flat area and be in reasonable good health. Why shouldn't everyone have an opportunity to enjoy the benefits of cycling in some way and why wouldn't an e-bike be a good choice for a commute? Fortunately for me, the opportunity presented itself this year to attend the E-Bike Expo being held at the Long Beach Convention Center, which gave me an opportunity to learn not just about e-bikes, but also to take advantage of the chance to spend some quality time with a very nice e-bike from Tempo, a CA based e-bike manufacturer. 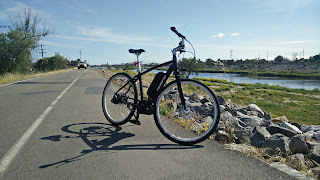 In fact, they were kind enough to lend me one of their Carmel model bikes to use for an extended trial, which allowed me to truly experience what living with an e-bike is like. I must admit, life with an e-bike is something that I could get accustomed to. It has been quite some time since we introduced our 2016 Honda Accord Touring. We have now had the car for about a year, and in that time have learned about some of the car's quirks. In terms of the way the car drives, there is not much to talk about. The car is still comfortable to drive, the V6 continues to accelerate and operate smoothly, and I still continue to get piss poor gas mileage thanks to my horrific daily commute. All of the quirks I have encountered over the year we have had this car have to do with the technology. As with pretty much anything, the more new technology you cram into a car, the more likely it is you are going to run into problems with it. 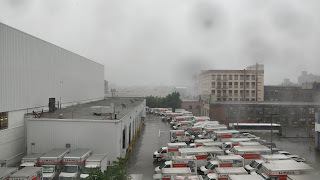 We awoke to a gray and rainy morning in the Park Slope neighborhood of Brooklyn, Manhattan's skyline hidden by the threatening clouds in the distance. I was up early and got myself ready for what would likely be a pretty long day. I knew that coffee was in order at some point, but first, I needed to head to Silvercar to grab the Audi A4 that would be our ride for the weekend. Pulling up the Lyft app, I called a car and before long, found myself scanning into a freshly gassed up silver A4 sedan. Pulling out into NYC traffic, I silently mouthed a prayer as I headed back to the hotel to gather seek a place to park the car. 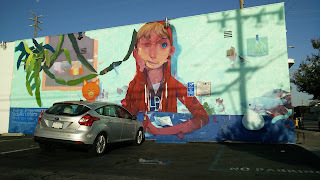 To my chagrin, all of the available spaces were taken so I found myself wandering through the neighborhood in search of coffee or parking, whichever would come first. Audi's reputation has been dragged through the mud of late due to the whole "diesel-gate" scandal. 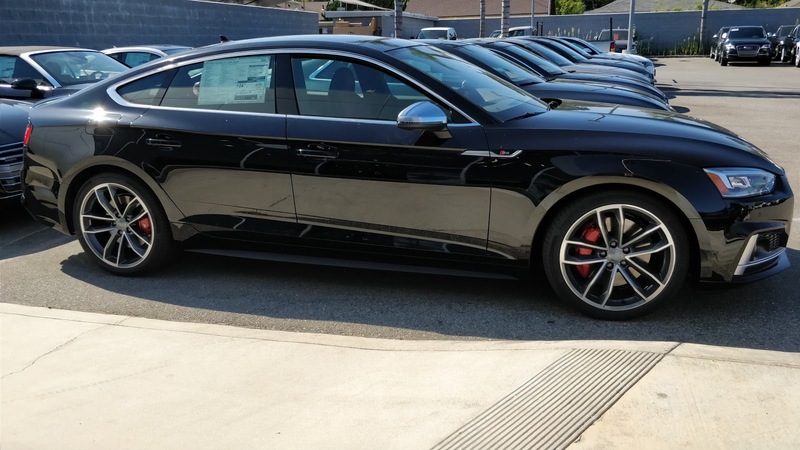 Even so, Audi's have always been nicely designed and well-appointed cars and the latest A4 is no exception. 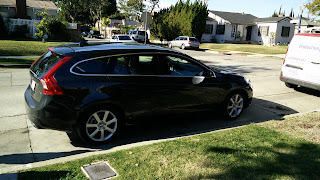 With a trip to New York that necessitated renting a car from the city, I opted to take advantage of one of the benefits of my Chase Sapphire Reserve card and booked a car through Silvercar for the weekend. Having only spent a little time with the last iteration of the A4, I was looking forward to having the opportunity to get a little quality time with this latest version. On the second leg of my recent business trip, I arrived late in the day and found myself waiting in line at the rental car counter as several passengers who seem to have never rented a car before inquired about every possible question for every possible scenario known to man. 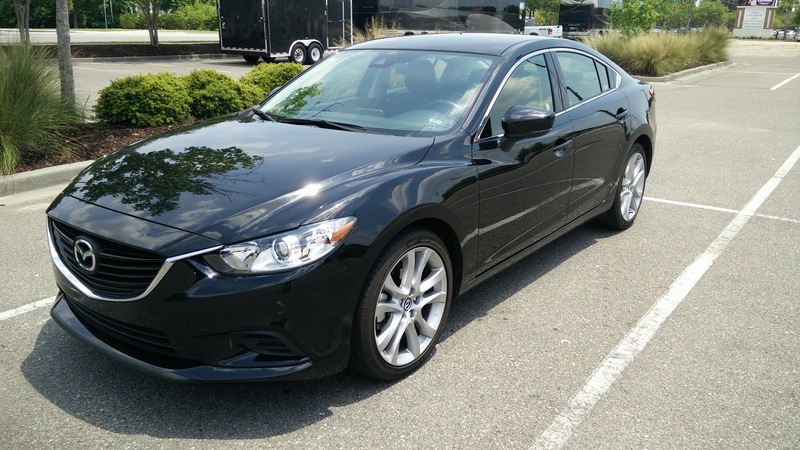 Nearly twenty minutes later, I finally sidle up to the counter and am handed the keys to a surprising selection, the Mazda6. Even though it took my 20 minutes before I was handed the keys, I was in the car and on the road in a matter of minutes. This is why I hate renting in places that do not have Emerald Aisle or its equivalent with other rental companies. Being able to pick my own car and drive away within minutes of exiting the plane is something you don't truly appreciate until you can't do it. Let me start by saying that I cannot understand why rental car companies think Nissan products are acceptable as "upgrades" to reservations. I say that because for this trip, when I arrived at the Avis rental car counter, they cheerily told me that I had received a free upgrade to a Nissan Altima, to which I promptly replied, "Do you have anything else?" 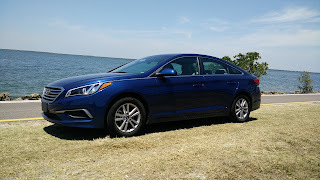 What I got was a relatively new Hyundai Sonata, which I promptly accepted. Yes, I have a personal aversion to Nissan products after having a number of not great (read downright awful) experiences with them, but more importantly, I find the quality of Nissan's interiors and the mechanical drone of their CVT transmissions among the most mind-numbingly retched experiences ever conceived by a modern automaker. You know it is bad when I am happy to accept the barely beyond entry level option from a different automaker just to avoid having to suffer in a Nissan. But enough about my disdain for them, and on to the Hyundai Sonata that I spent several hundred miles with. 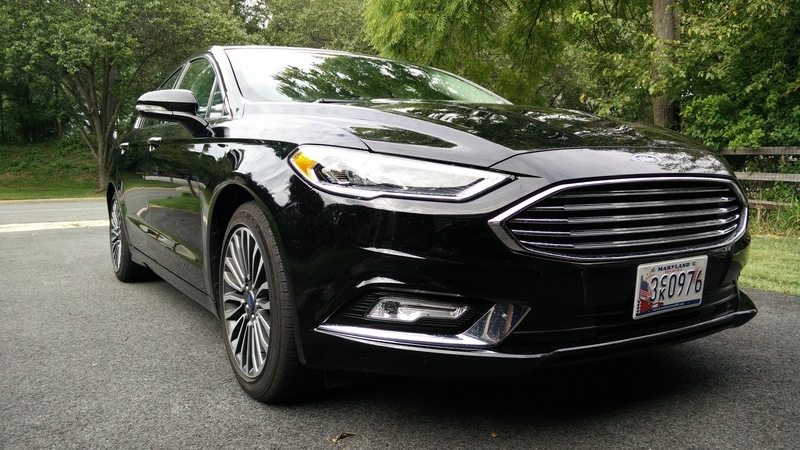 Among mid-size sedans, Ford's Fusion has always been one of our more favored choices. When renting cars, I tend to steer away from any Nissan, Toyota, and Dodge products while Hyundai and Ford tend to find themselves at the top of my list. 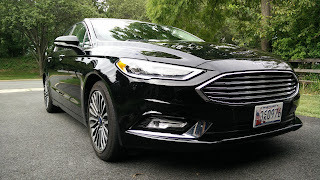 So on the second leg of our all-Ford weekend (click here to read part one), I was pleased to be able to snag an almost brand new Ford Fusion Titanium for my time in the DC Metro area. Once again, National's Emerald Club program proves why it is my favorite option when renting from an airport. After grabbing the keys and tossing our luggage in the spacious trunk, we headed out for our weekend in our old stomping grounds. It was a long time coming, but after three years, our 2014 Acura RLX has finally been retired. 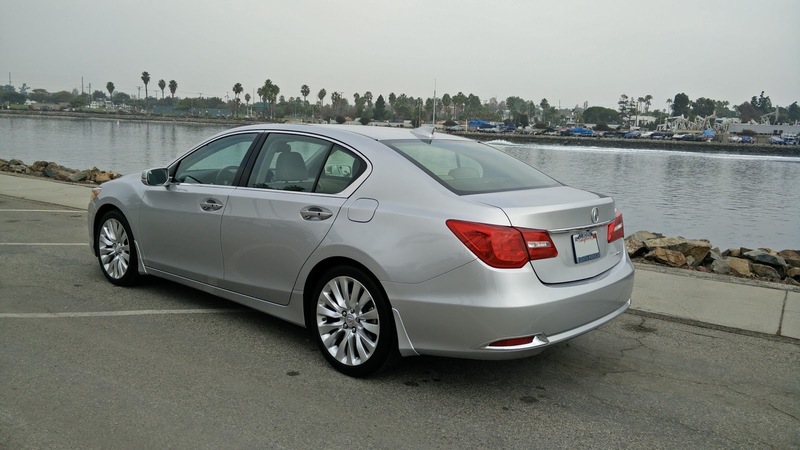 Over the course of the three years we had the RLX, it served us well as a daily commuter, grocery getter, and occasional road trip car. With our folks retired now, keeping around a large luxury sedan, just like keeping around a large SUV, seemed pointless. Most of the RLX's former duties have been taken over by our 2016 Honda Accord Touring, which serves these duties just as well as, if not better than, the RLX. Over the course of the three years though, we've come to learn a lot about Acura's full-sized luxury sedan. 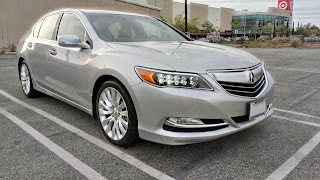 Here are some of the things we liked and disliked about our 2014 Acura RLX Tech. It's been three years since I last tested a Honda Civic Si. The last model I tested was the second refresh of the ninth generation Si coupe. Equipped with a K24 2.4 liter four-cylinder, this particular Si felt somewhat neutered compared to the eighth generation Si. 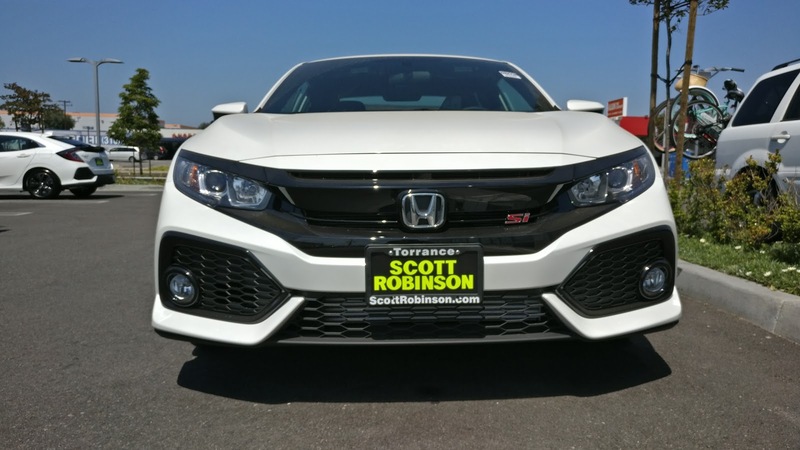 For the 10th generation, Honda opted for a beefier version of the 1.5 liter, turbo four-cylinder out of the Civic sedan, coupe, and hatchback. I was originally fairly skeptical when it was announced that Honda would be using this smaller engine since everyone in the enthusiast community was expecting a de-tuned version of the Type-R's 2.0 liter turbo four. Now that I've had the chance to experience the car with the turbo 1.5, do I still think it needs the Type-R's motor? I'll get to that in a bit. Let's start with the rest of the car. It has been a while since I had a chance to ride a new motorcycle. Even when I have attended the International Motorcycle Show, the bikes usually have quite a few miles on them. When I rent a bike from a place like Motoquest, the bikes frequently have serious miles. 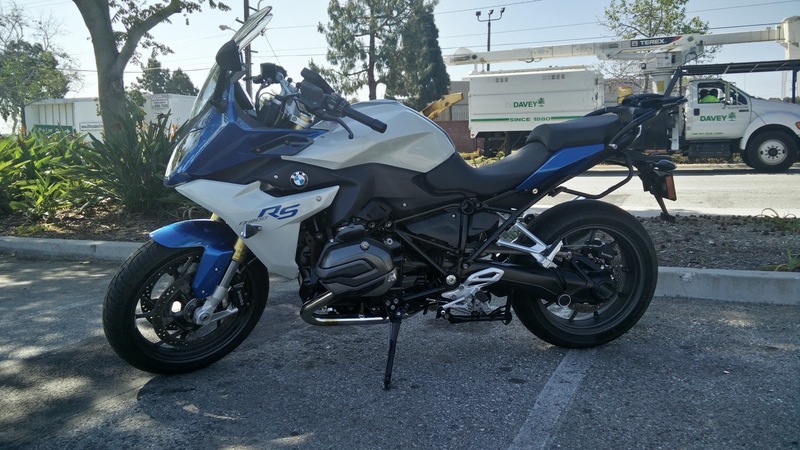 So during my recent hunting online for motorcycles, I came across reviews for a new bike from BMW, the R1200RS. 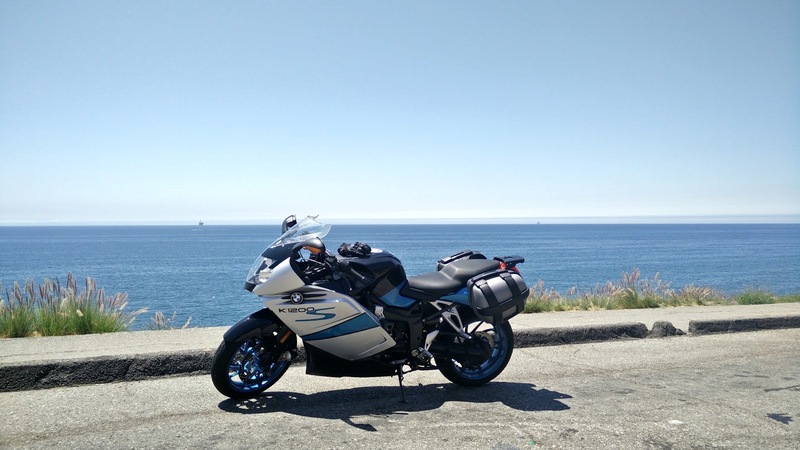 This took the new air and water-cooled flat twin engine from BMW's insanely popular GS adventure bike and places it into a frame that is set up more for sport touring. I absolutely love the torque of the GS flat-twin; this is one of the most iconic engines in motorcycling made better by the addition of water-cooling to create something with more power and ever more reliability. The idea of taking this new, better engine and the ultra-reliable maintenance-free Paralever shaft-drive rear-end and applying it to something more sport touring oriented was certainly very intriguing. On a day when I needed to be available due to a termite tenting at our house, I finished up dealing with the exterminators and took a little detour before my next appointment to stop by my local BMW dealer to check out this interesting new bike. There is always a moment of nervousness when I get off the plane and am making my way to the rental car center. Even though I am using National, which is one of my favorite rental agencies, the selection of cars available in their Emerald Aisle at various airports is oftentimes a serious toss-up. I could end up with a great car, but I have also been saddled with a few duds from time to time. The day and time of arrival really can make a difference and sometimes, the best time to show up is when there are the fewest cars available because that means a greater likelihood of a free upgrade. As we got off the plane at Logan, I was silently hoping we would score something fun for our time in Boston. Luckily, it would seem that I was worrying for nothing. When we got to the structure, the selection was gloriously thin, leaving a handful of SUVs, minivans, and, surprisingly, a pick-up truck or two. 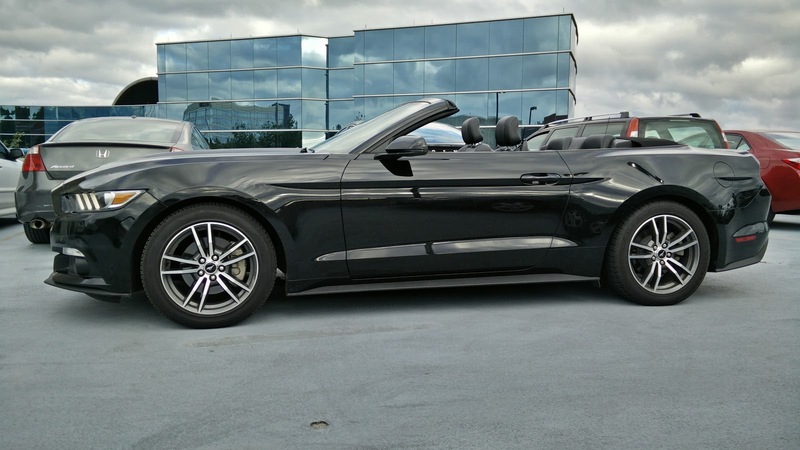 Tucked away in a corner, hiding behind a column, was a jet black Mustang covertible. I looked over at my wife to see if she was okay with the choice and got a nod of approval. Excellent! 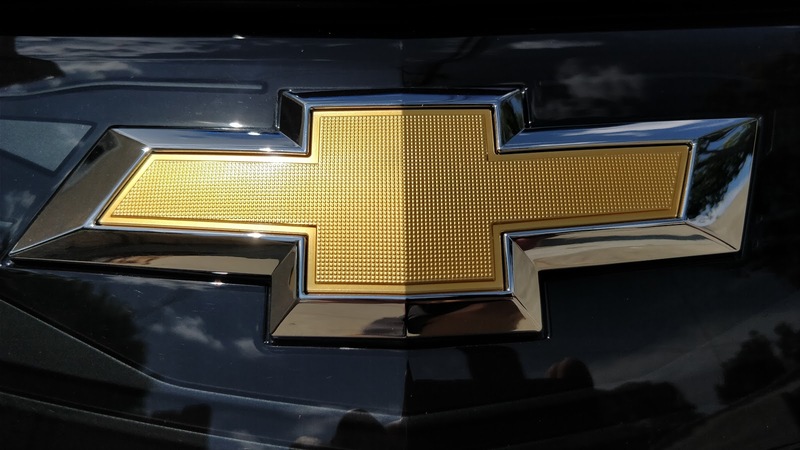 As if there weren't enough cars in the mid-size luxury class, a nameplate long forgotten in the US rose from the ashes to once again try and sell their vehicles to a now SUV obsessed American public. Their efforts began with an obscenely overpriced supercar that most people didn't even know existed. Next came their two seat sports car that, while looking and driving exceptionally, made far too many compromises on design and comfort to meet a price point. And so we come to the company's effort to compete in the mainstream mid-sized luxury sedan segment; an overcrowded segment that is unfortunately losing popularity thanks to America's infatuation with crossovers. What company am I speaking of? None other than Alfa Romeo. 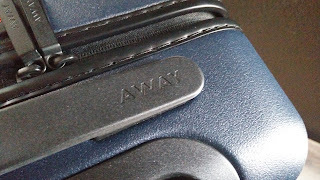 With lots of travel scheduled for this year, I thought it was time to finally invest in a properly sized carry-on bag to avoid the challenges of dealing with checked baggage when flying. The size of the allowed carry-on continues to shrink every few years and the cost of a decent piece of luggage is far more than I honestly care to spend every few years replacing a bag so I dug around the web in search of something that I felt would serve as more than just a bag to carry clothes so that the expenditure would be worth the cost. There are lots of very expensive options with all manners of different features and functionality. Some came with GPS tracking and apps that performed all manners of nearly useless functions while others lacked anything unique at all, making it difficult to justify their high price. It took a lot of searching, but I finally stumbled upon Away, a small company that produces a Goldilocks carry-on bag that was just right for my needs. Due to some unforeseen circumstances, I have had to start over, in a sense, with the K1200S. My bike, before things went sideways, wore the BMW sport saddlebags and had the SW-Motech adapter installed for a top case. It also had a set of auxiliary driving lights that have been useful on more than a few occasions. Now, I am in a position to need to re-install the bags, along with the components needed to hold the bags. Given that the opportunity has presented itself, I felt that this was the right time to add a Kaoko throttle lock, which has sat uninstalled in my garage now for a few months. The next time the bike goes into the shop, which may need to be soon, I will need to have a few additional items addressed as well. While I have spent much time talking up the beautiful sounds and the excellent driving experience of the F-Type, I want to take a little time to really dive a bit deeper into the interior of this car. As one would expect, give the rather premium price tag, Jag has absolutely had to go for better materials in order to compete and has thrown in a lot of the right touches in the right places in order to make the rather intimate cabin feel like it is worthy of its price. Yet, it is not totally devoid of areas worthy of improvement, a reality of any car that is not outfitted with a bespoke interior or priced well into the six-figure range. The last few months have been crazy. Work and home life have made finding time to write nearly impossible and with all the other commitments, the insanity of constant go-go-go has left my wife and I a bit exhausted. So we have been looking forward to this trip to Mexico to attend a friend's wedding for some time. Our initial research seemed to turn up little about the destination beyond the fact that it was just short of three hours drive north of Mexico City at the foot of one of the largest monoliths in the world. With few preconceptions in mind, we boarded our flight to Benito Juarez Airport. While the Orca has sat on the rack gathering dust, the Shogun has seen at least a little bit of use. As a part of the semi-annual Beach Streets event, I was able to not only get out and ride a little bit, but also give the Shogun some much needed and long overdue maintenance. Key among the items that needed to be addressed was the chain, which had not been cleaned in easily a couple of years and a few hundred miles worth of riding. As a result, the drive train, including the chain, chain ring, and rear derailleur all had accumulated a wealth of road grime. 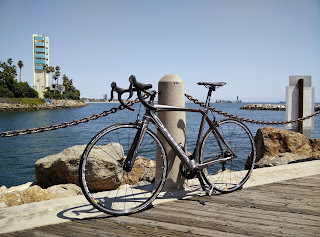 Since we had plenty of people working the booth I was staffing at Beach Streets, I took the opportunity to give my chain and drive train a good scrubbing, With it freshly cleaned and lubed, I was able to take it for a quick ride along the Beach Streets route while the streets were still closed. For a bike that is over 30 years old, it still rides beautifully and is still my favorite bike ever. Hopefully once the weather becomes agreeable again in the spring, I will be able to spend more time out riding. I might also have a few accessories that will be acquired to allow me greater latitude in carrying precious cargo. We shall see at the next update. My poor Orbea has been sitting largely untouched for the last several months. Following some injuries sustained at the end of September, in conjunction with the colder weather and the craziness of my current home life, I simply have not had as much time to ride as I would like. To make matters worse, I also have not had the opportunity to give it a proper tune-up while it has sat out of service. Of course, once things settle down again, I intend to get back on the bike and get out there to meet the seemingly impossible task for me of riding 1,000 miles in a single year. Still, in the meantime, even though I am not riding it, at least I get to enjoy looking at it. The Orca may not be the most wild design out there, but compared to the simplicity of the rest of my bikes, it is genuinely a great looking piece of art to hang up and be appreciated. So we finally did it. After all of my effusive praise heaped upon it and the many test drives, we finally have a Volvo V60 as a part of our long-term test fleet. Our recently acquired V60 wagon comes in a stately Savile Gray Metallic paint job and packs Volvo's very impressive Drive-E 2.0-liter turbocharged four-cylinder engine with a well-sorted Aisin 8-speed automatic transmission driving the front wheels. In the Platinum trim level, the V60 comes with nearly every single available widget the Volvo offers: blind-spot monitoring, adaptive cruise control with low-speed follow, lane departure warning, forward collision warning, and on and on. The alphabet soup of driver assist features combined with the potent Drive-E engine and Volvo's downright phenomenal seats makes for what should be an excellent long-distance touring car. Add to that the storage capacity to hold luggage for the whole family and the V60 will likely find itself serving road trip duty at least a few times during its tenure with us. Of course, the eagle-eyed among you will likely notice a few missing features that made me offer up my prodigious praise of the V60 in my prior reviews. The sport package with its gorgeous diamond-cut 19-inch wheels was not on the table because availability with the package and color options was pretty much non-existent. 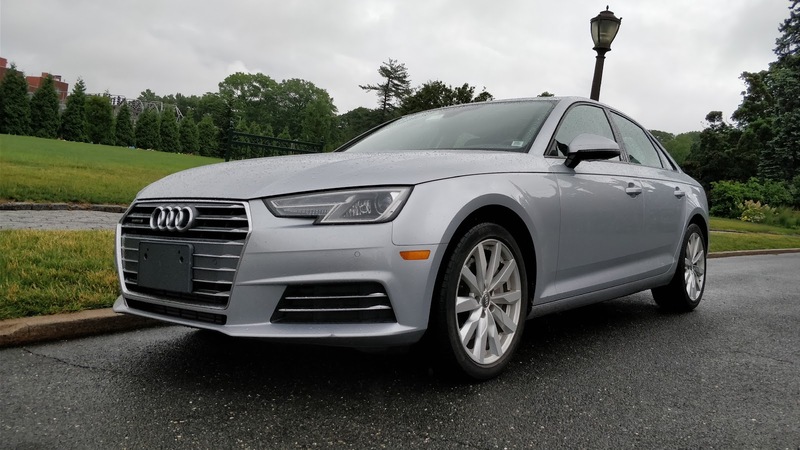 Somehow, when we were ready to finally grab one for ourselves, there were simply no cars in the area that could provide the right mix of trim level, packages, and color that we ideally wanted. Since this would not be my daily driver, I had to ultimately defer to the desires of the person who would spend the most time with it. Still, the standard wheels work well with the understated choice of paint color and give the V60 a dignified appearance. Even so, the V60 is an exciting (yes, an exciting Volvo!) addition to our long-term fleet. It is also the second vehicle in our long-term fleet to come packed to the gills with driver assist systems, giving us an opportunity to compare how two different manufacturers implement these systems and to test how well they work in real world conditions. With autonomous cars marching ever closer to the consumer market, these interim steps of current generation driver assist systems give us a taste of the autonomous future to come. We have a full three years with the V60 to find out if it really is as good as my test drives led me to believe. 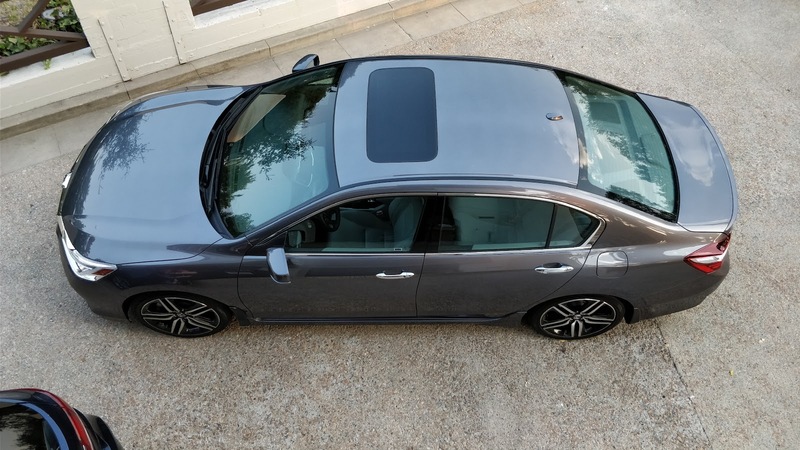 The recent acquisition of our 9th generation Honda Accord Touring places us in an interesting position to examine something: is the RLX genuinely worth the rather extensive premium over its more pedestrian relative? While a bit older in age, the RLX and the Accord both sit at the top of the sedan ranges for their respective brands. They theoretically serve the purpose of getting buyers to get large sedans with nearly full-size levels of leg room in more typically mid-size exterior dimensions. Sharing many traits, including their FWD architecture, similarly rated 3.5-liter V6 engines, and even their 6-speed automatic transmissions, the two cars are so close in spec that it is no surprise that people often complain about the RLX being little more than an Accord in a fancy suit. But since we actually have the two cars in our possession at the same time, let's actually compare a few of their key traits and see if the comparison is a fair one. It has been a little while since we have had a chance to post consistently. The last half of 2016 was fraught with big changes for both of us as we settled into new jobs, new roles at existing jobs, spent time dealing with personal items, and giving back to our communities. As a result, we not only did not have time to generate new content, but we have also missed numerous long-term updates, which we will work on getting caught up on this month. Once we get caught up, we hope to have some great new content to share throughout the year. Happy 2017 and hope everyone's year has gotten off to a great start.